Despite being a serious lifelong condition, diabetes can be successfully managed between the patient and their GP, with patients going on to live long and healthy lives long after diagnosis. However, the onset of diabetes – when symptoms begin to present – can be a dangerous time, if diagnosis and treatment is delayed for any reason. We run you through the first symptoms to be aware of in diabetes development. Diabetes is a chronic disease where you are unable to control the sugar in your blood. A hormone in your blood, called insulin, allows you cells to use the sugar in your blood and keeps your blood sugar at a normal level. In diabetes, you either do not produce enough insulin (in Type 1 Diabetes) or your cells do not respond to insulin (Type 2 Diabetes). Unexplained weight loss is a common symptom of diabetes. This happens because without insulin your body cannot use the sugar in your blood to provide energy for the cells of your body. Therefore, it tries to break down fat and muscle to provide the energy for your body to function normally. As well as weight loss, you may notice you have lost muscle bulk. Tiredness occurs because your body is not able to effectively use the sugar in your blood. This means that you are not able to access energy stores in your body as easily, meaning you feel more tired than usual. Together with drinking more, people with the symptoms of diabetes often find they are going to the bathroom more often to pee, particularly at night. This is known medically as polyuria. This is because when your blood sugar is high, there is more fluid leaving your cells and so more fluid going to your kidneys, meaning you have to use the bathroom more often. People with diabetes often find they are drinking more than they might usually, a phenomenon known as polydipsia. Often people find it hard to quench their thirst. This is because you are losing more water from peeing frequently. Normally any cuts or scratches you may have sustained heal quickly by themselves. Sometimes, when you have diabetes this can take a longer time. This is because of the higher levels of sugars in your blood interfere with the natural processes involved in healing. Bacteria also love sugar, and are attracted to areas of high sugar content, making infection more likely. Blurred vision occurs in some people because high sugar levels can result in the lens in the eye swelling. Lowering your blood sugar can help reduce this blurring. However, in the long term, if you do not control your blood sugar you may get long term problems with your sight. It’s worth noting, however, that these are symptoms of both type 1 and 2 diabetes. However, these symptoms develop a lot quicker (often within a couple of weeks) in type 1 diabetes, and the symptoms are often a lot more severe. Type 2 diabetes, however, has a lot longer period of development, and is often detected up by doctors when screening at–risk patient, such as those who are overweight, eat high–sugar diets, or live a sedentary lifestyle. I Have Diabetes Symptoms: What Should I Do? If you think you have the symptoms of diabetes, the best thing to do is to visit your GP. They can carry out some tests to investigate whether you might have diabetes or something else. For example, a simple glucose test can be performed immediately during your consultation, with every one of LDC’s clinics being equipped with a glucose meter. The GP may also need to take some blood samples to send off to our lab for further testing. For example, measuring HbA1c levels gives an impression of your long-term glucose levels. Consistently high glucose levels, as seen in untreated diabetes, results in high HbA1c levels. Luckily, there are many things you can do to treat your diabetes. Although we cannot cure diabetes, with lifestyle changes and medication, you can reduce the symptoms and reduce the risk of complications in the future. The symptoms of diabetes occur because the levels of sugar in your blood are too high. By changing your lifestyle, diet and taking medication you can lower the levels of sugar in your blood. This will reduce or get rid of symptoms entirely for many patients. It is important to note that keeping your blood sugar in the normal range is very important to making sure that you do not develop the complication of diabetes. In the long-term, diabetes can result in problems with the eyes, kidneys, heart, blood vessels and nerves. Many of these can be avoided if you control your blood sugar effectively. Your GP is the best person to advise on managing your diabetes, and with a vast amount of tips and medications available, together with your doctor you can develop a diabetes management plan to best suit your needs. Then, your doctor may recommend blood tests to monitor the progress of your treatment at regular intervals, to ensure your blood sugar levels are staying in range. The better you control your diabetes now, the less chance of long-term complications arising. There are also many online support forums, for anyone newly diagnosed with diabetes. 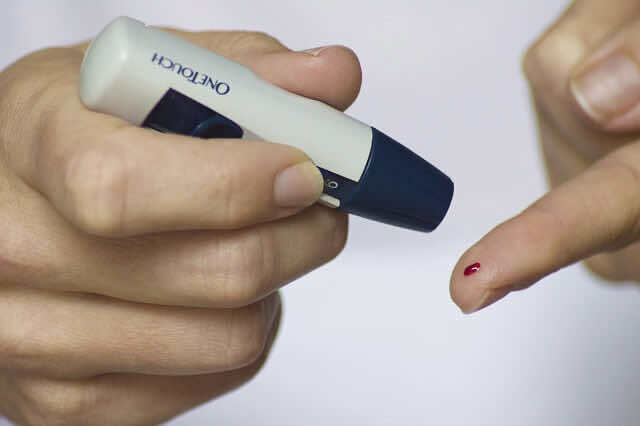 So if you’re at all concerned that you may be experiencing symptoms of diabetes, book in for a private GP appointment today, for a thorough investigation and advice!